Experiencing Abundance! Wherever you’re at on life’s journey, come learn how to open the door to living out the fullness of your destiny. 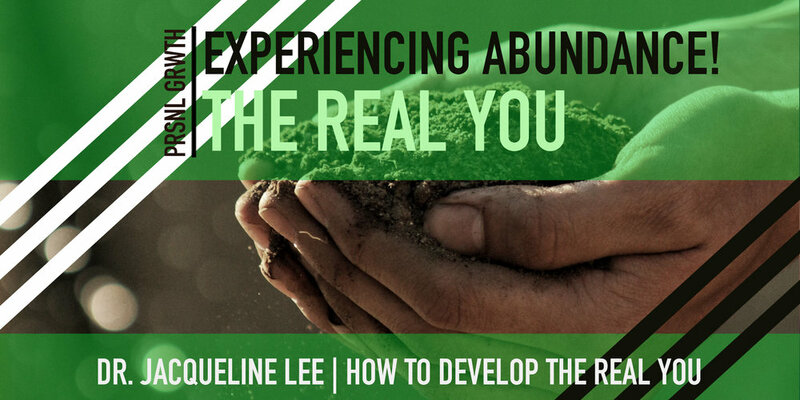 Dr. Jacqueline Lee communicates How to Develop the REAL You, a weekly series of free sessions in coming to know the One who created you and your innermost desires. She opens up truth-based principles that are grounded in Jesus Christ. HOLD TIGHT! If this way is foreign to you, or you just had an immediate “walls-up” reaction, come consider Dr. Lee’s approach to experiencing an abundant life; a perspective that may just be the necessary piece of your puzzle. All are welcome, so come and bring a friend.